The Municipal Property Rates Act (MPRA) stipulates that all properties in each municipal district need to be valued every four years. Mass appraisal techniques based on comparable sales are necessarily used by the Municipal Valuer to fulfill this function. Mistakes will inevitably happen. 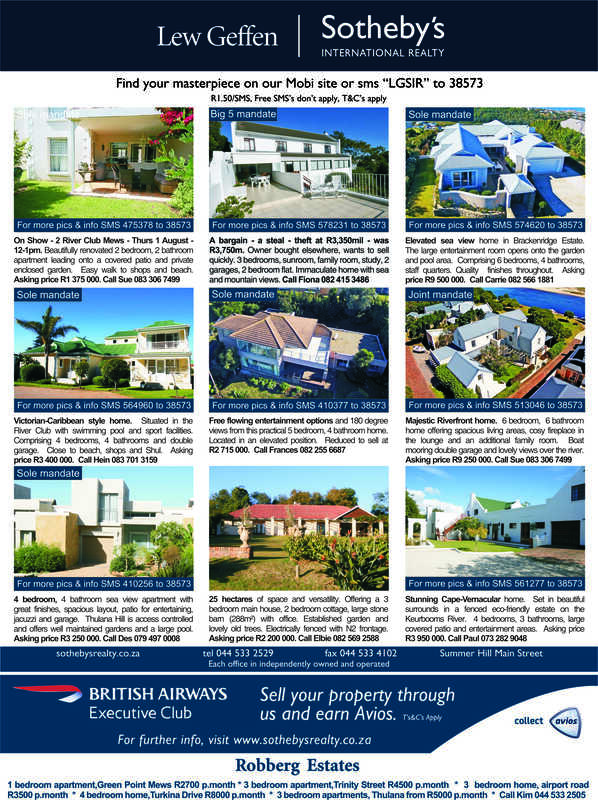 Values could be incorrect due to differences in quality and characteristics of properties, incorrect comparables being used, incorrect sizes of structures or land (though this is improving due to the use of aerial photography) and even simple typing mistakes in calculations can lead to gross over- or undervaluing. Only object to a specific property, not to the valuation roll in general or in part. You cannot object based on the value of other property values in the valuation roll (they may also be incorrect). Do not object based on rates increases. Municipal valuations are based entirely on current market value at the date of valuation and are entirely independent of rates. Taxes are calculated by taking the budget of the municipality and dividing it by the total value of all ratable property in the municipality to arrive at a rate in the Rand figure, which is then multiplied by your property value to arrive at the amount due for each property. Though the valuation amount is used to calculate the rates it is the budget that determines the fee you pay and the annual increase. Use recent comparable sales (that are genuinely comparable) in the area. If your property is currently for sale or has recently been on the market, this information should be provided, together with any offers received. You can also object based on quality, size, restrictions, servitudes or other things that materially affect the value of your property in relation to the comparable sales in the area. Bear in mind that these may already have been taken into account. As mentioned, there could be errors, and there will obviously be issues that the Municipal Valuer is not aware of due to the nature of mass valuations. Be sure to provide details and all relevant documentation, without which your value cannot be changed. Remember there is often a different Municipal Valuer for each four year valuation cycle, so information you provided for a previous objection will not necessarily be known to the new valuer. Do not object to the category or zoning of your property to the Municipal Valuer. If you need a category change, this must be applied for directly with the municipality. There are specific forms for this and requirements that need to be met (e.g. for a change to “agricultural” proof of being a bone fide farmer is required). A change from Vacant to Improved is an exception to this, as it is an obvious change if a new structure has been built or if a property is incorrectly categorized as vacant. A valuation by a professional valuer or from an estate agent may be attached, but ensure that comparable sales are included in the valuation. Be sure to provide accurate information. If your property is on the market at a lower price than the municipal valuation, there is clearly an error. 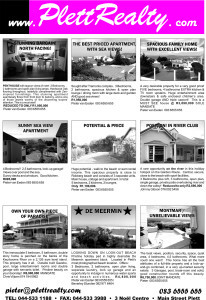 However, beware if your house is being marketed at double the price mentioned in your objection. Do not object if your valuation is correct. There are cases where on closer inspection an increase in the value is justified. Also if taken on appeal and it is found that the objection is frivolous, the objector may be liable for costs. If your value is too low, you should object. It is up to each individual’s conscience, but remember when you want to sell or need a bond, the municipal valuation will be considered. For commercial properties provide financial information (rentals and expenses), but bear in mind that the valuer will use market related rentals if the rentals are too low (e.g. owner occupier with artificially low rentals). Finally, object even if you miss the deadline. Your objection will go onto the next supplementary valuation roll. 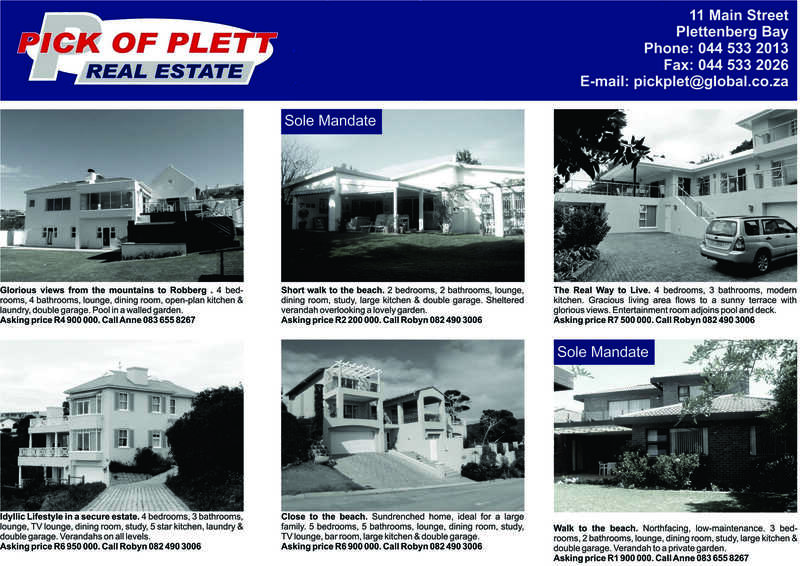 A sole mandate held by Hein Pretorius of Sotheby’s International Realty Plettenberg Bay in 2013 achieved the highest price for a beachfront property in Plett at R45million for a mansion on a large site on Robberg Beach. 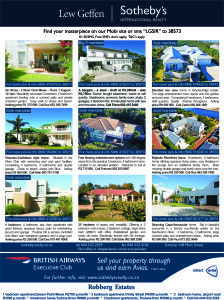 Overall, the market remained relatively constant over the past five years with between 200 and 300 units sold per annum. 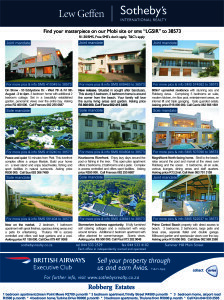 Average selling prices have increased since the peak in 2008 by 3%. Though too early to tell, it appears that 2013 will be similar to 2012. 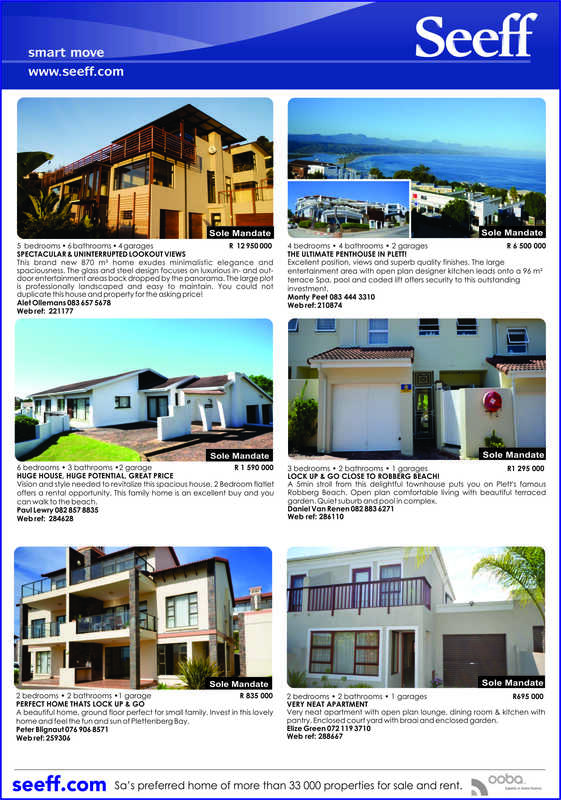 The average price for freehold property is currently around R2,5million (including vacant plots and houses) and for section title units about R1,1million. 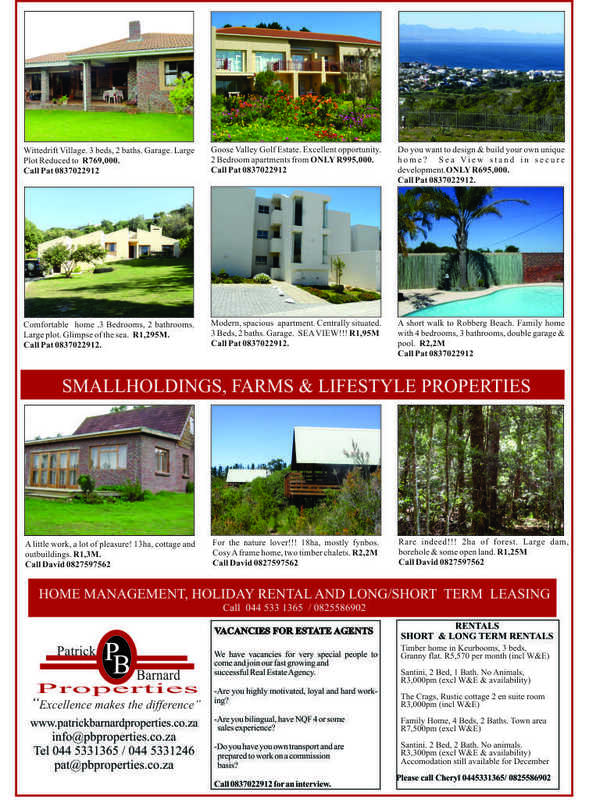 Entry levels remain relatively low, by Plett’s standards, for first time buyers and those looking for an affordable holiday property, though limited stock is available. 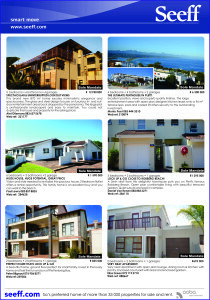 The entry level for houses is about R950,000 (off a high of R1, 4million in 2007). The entry level for apartments is R400, 000 (bachelor). 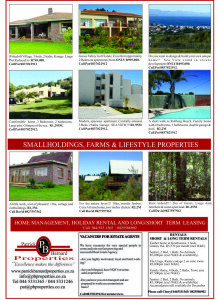 Vacant land starts at about R225,000. 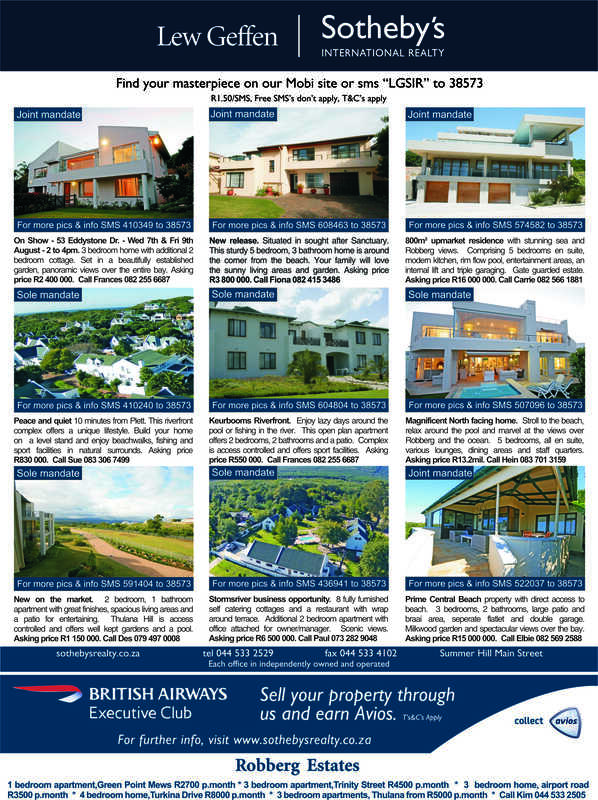 The record price so far for non-commercial property was R50 million for a luxury coastal estate sold in 2006, also sold by Hein Pretorius. Over the past eleven years average prices in Plettenberg Bay have grown annually at an average of approximately 13%, which demonstrates that property in Plett is a good investment if bought at the correct price. It is currently a buyer’s market. “Though there is an oversupply of property, stock levels have declined in certain segments, particularly the upper end of the market, where choice is diminishing and values are increasing. Unfortunately most South Africans find themselves in a difficult financial situation, so are unable to take advantage of these opportunities,” said Pretorius. 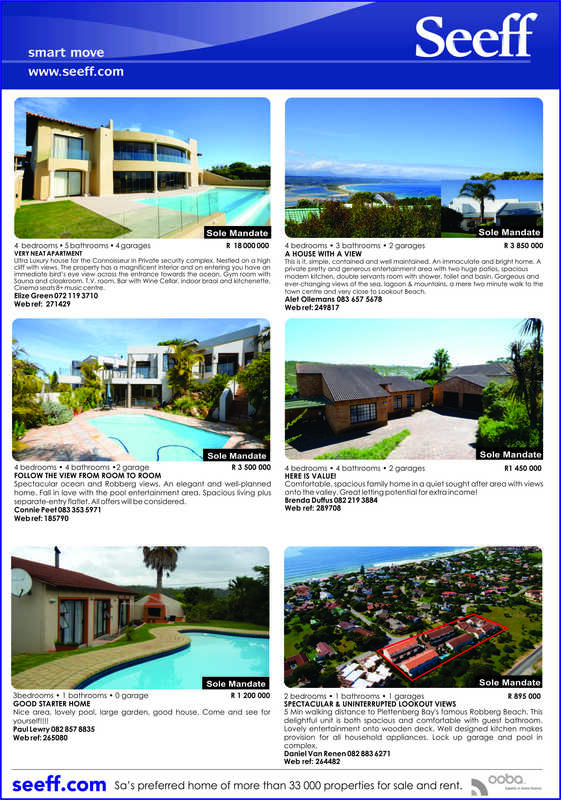 Four properties transferred in the town of Keurbooms in 2012 for an average of R3million. 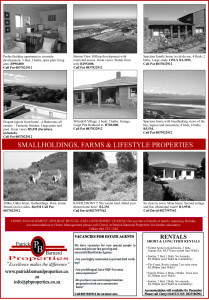 Seven properties transferred in Natures Valley for an average of R2,8million. In Wittedrift 6 properties transferred for R560,000 on average. The figures above were taken from deeds information on the 15th of July 2013. Sales are listed by date of sale, not transfer date to provide a more accurate depiction. 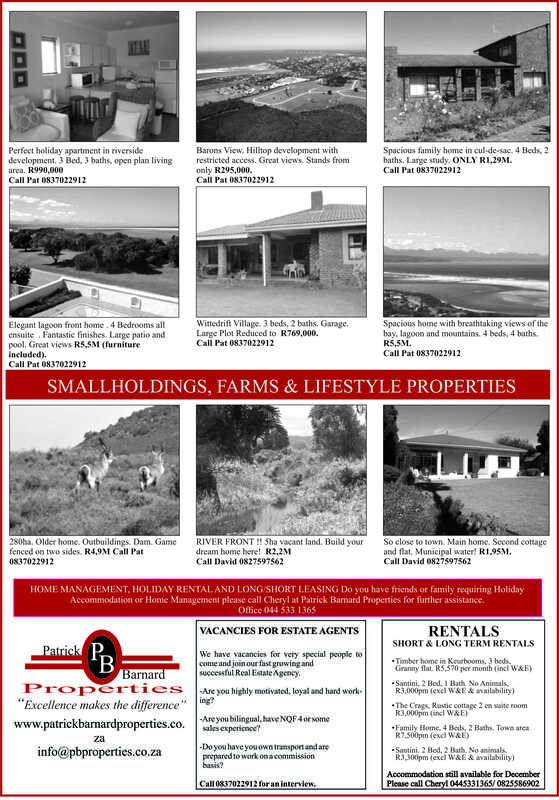 Rural property, sales below R100 000 and duplications (e.g. when a developer buys numerous properties for a single price and each is listed at the full price, only the single figure is taken) are not included in the figures. A number of sales are still in the registration process, so the picture will change somewhat.